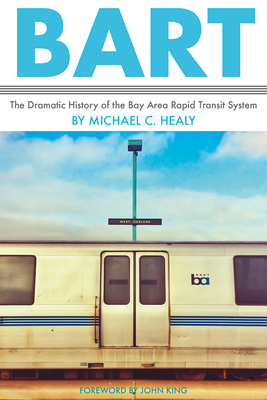 In the first-ever history book about BART, longtime agency spokesman Michael C. Healy gives an insider's account of the rapid transit system's inception, hard-won approval, construction, and operations, "warts and all." Written with a master storyteller's homey wit and sharp attention to detail, Healy recreates the politically fraught venture to bring a new kind of public transit to the West Coast. What emerges is a sense of the individuals who made (and make) BART happen. From tales of staying up until 3:00 a.m. with Bill Stokes and Jack Everson to hear the election results for the rapid transit vote or weathering scandals, strikes, and growing pains, this look behind the scenes of an iconic, seemingly monolithic structure reveals people at their most human--and determined to change the status quo.